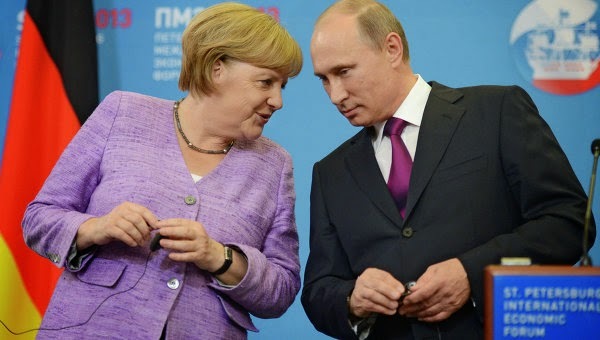 Putin speaks German nearly as good as Russian.. he worked in East Germany. His kids go to school in Germany.. Merkel speaks fluent Russian... and where did Angela grow up? Soviet controlled East Germany. 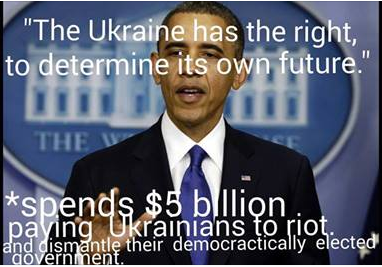 Victoria Nuland ain't screwing this one up with no NGO’s. I would contend that we are seeing a decisive shift in the political character of Eurasia. History tells us that long wars have tended to be fought between maritime empires and continental empires. Think of Athens vs. Sparta, Carthage vs. Rome or Britain vs. Napoleonic France. The last big fight was between the US and the Soviet Union ended in favor of the maritime empire. As a result, since 1989 we have lived in an order ultimately run by the US military. But after some unpleasantness playing the role of global policeman, that maritime empire is in retreat. "The question will not only be how did “we” come to lose Asia and the Middle East, but also “our” most reliable and pliable ally—Europe." When you have senior State Department types caught dead-on saying "F*@k the EU." which essentially means "F*@k Germany" as it runs the place well... Forgive me for the invoking image of Vicky Nuland wearing a wife-beater, but at some point the battered partner needs to find new shelter.